Think galactic warfare and solving a gigantic mystery. 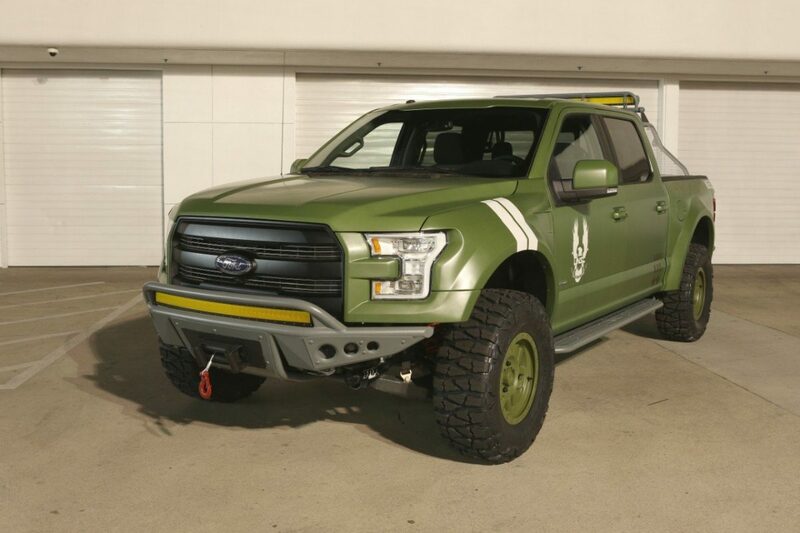 A team from Ford, 343 Industries and Galpin Auto Sports did, and came up with a truck that they claim is “so awesome that it could have been designed by (Halo’s) Master Chief, himself. 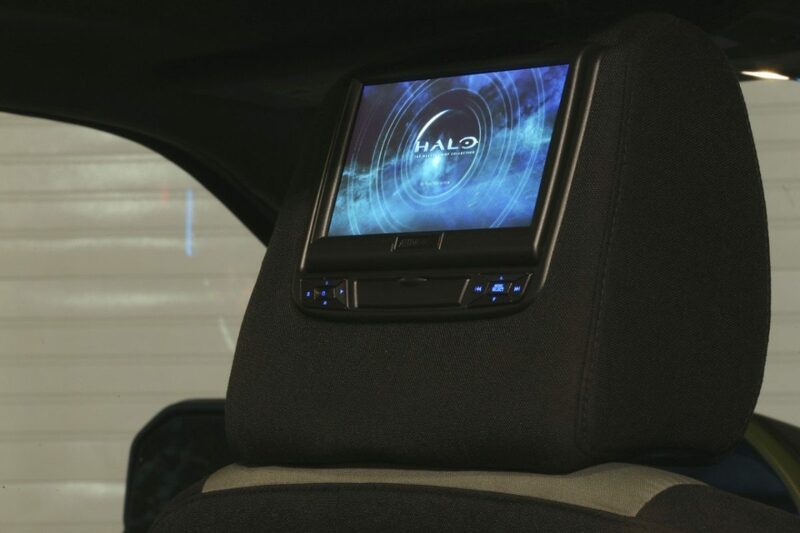 The F-150 in question is a one-off built to promote Halo 5: Guardians for Xbox One. To be released in late October this year, the game takes place when “peace is shattered when colony worlds are unexpectedly attached…when humanity’s greatest hero goes missing, a new spartan is talked with hunting the Master Chief and solving a mystery that threatens the entire galaxy, according to the folks who developed it. 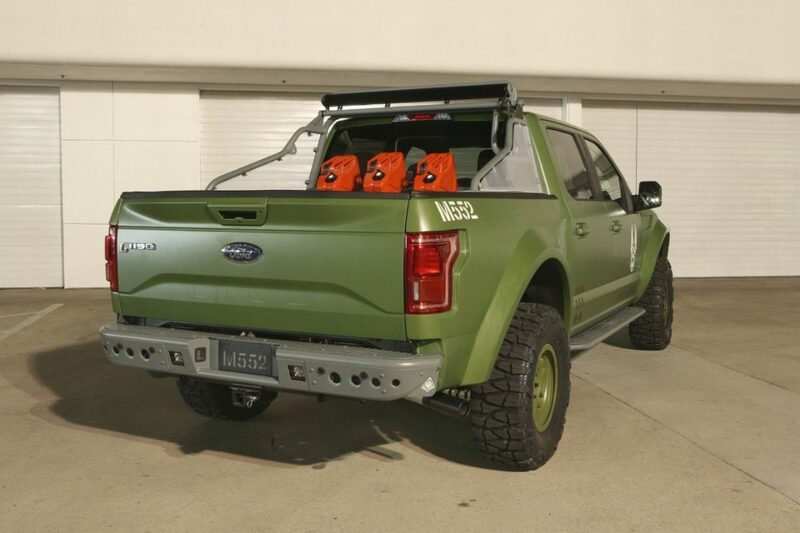 The F-150 Halo Sandcat uses a 2015 Lariat SuperCrew 4×4 with a 3.5L EcoBoost engine and FX4 off-road package. Galpin Auto Sports then added modifications to give it that United Nations Space Command look and designation — M552. Halo fans will recognize the style: Addictive Desert Designs’ Baja XTR off-road conversion kit including Custom FOX racing shocks, Denver leaf springs, Currie full floater rear axle, ADD fenders, side steps, a chase rack and 17-inch wheels with off-road tires, all wrapped up in a custom Halo body wrap. 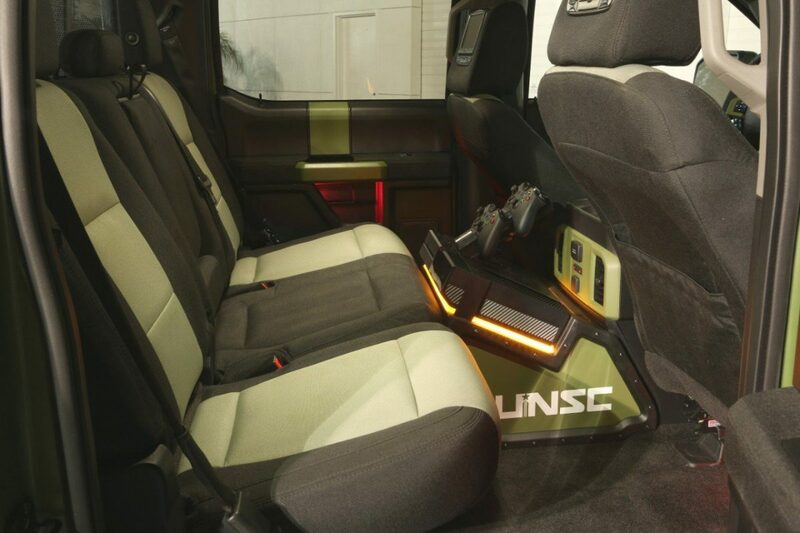 Inside there’s an Xbox One custom gaming system with displays mounted in the rear head restraints. The Halo Sandcat will be on display in the South Hall of the LA Convention Center and will make it to several public events before the Halo 5 October 27 launch.